This past week it has rained everyday. It was gorgeous the week before and I thought for sure spring was here. But now, it’s cold, windy and rainy. With this ugly weather I was craving comfort food. Funny the week before I wanted strawberries, and salads and now I want warm food that makes me feel good. So I finally made Baked Mac & Cheese. 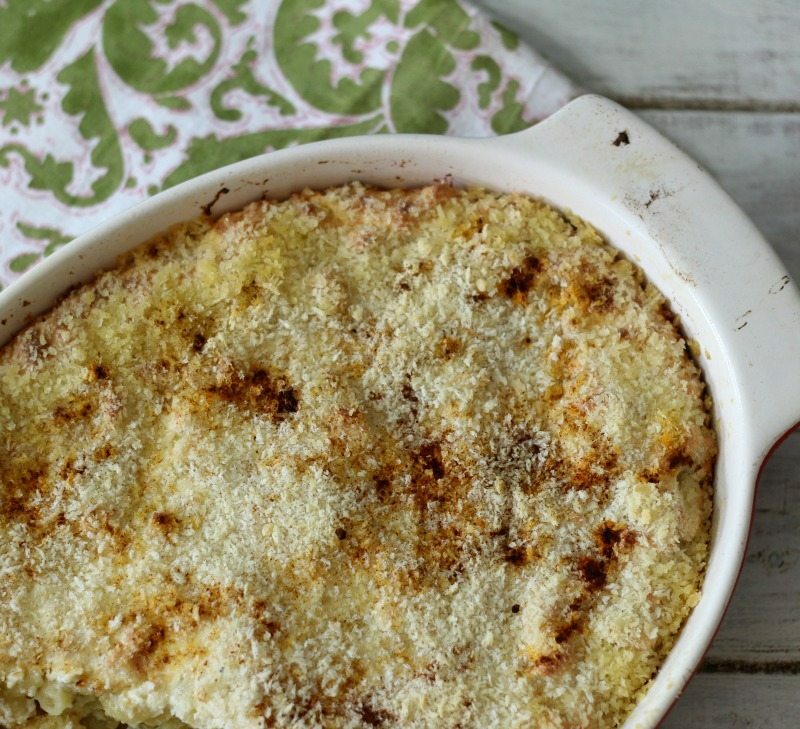 I love macaroni and cheese, it is one of my favorite indulgences. When I was a kid I would not touch homemade macaroni and cheese, but as an adult I love it. 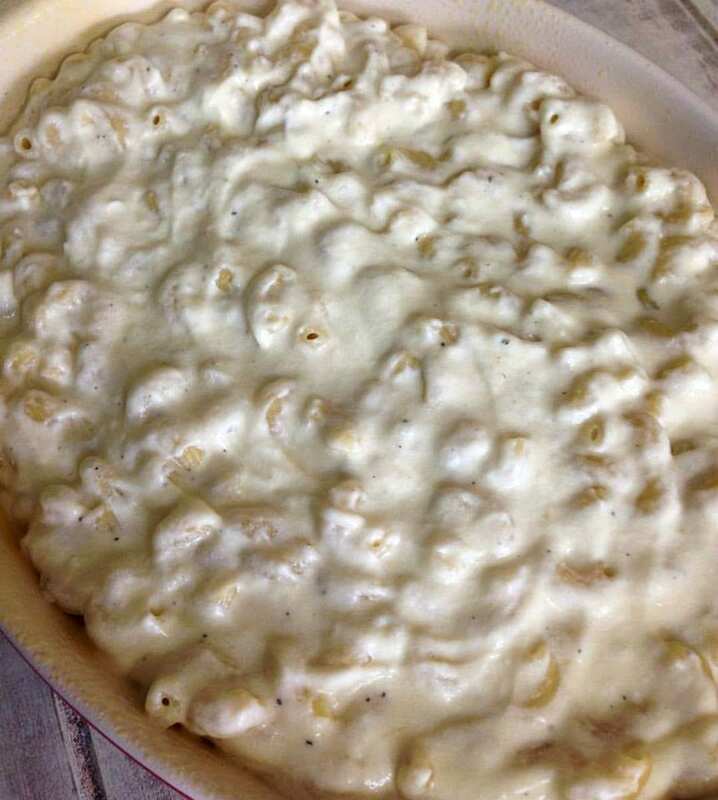 So today let me share with you the ultimate Mac & Cheese. You’ll have to forgive me, I was so hungry that I didn’t take a picture of the inside of my dish. I was rushing around, I’m sorry. The Mac & Cheese is creamy, thick and is a little salty from the cheese. It’s amazing! It’s the perfect Mac & cheese if you ask me. I made this dish with Swiss and Gruyere cheese that I bought at Trader Joe’s. I was going to only add two cups, but I said heck, I’ll throw in the whole package. I was out of milk, so I used fat-free half and half. The half and half really gives it a creamy kick. You will love that! It’s so easy to put together and I had fun making it. I felt like a chef on Diners, Drive-In’s and Dives. I will tell you this dish is not healthy. It’s full of protein, but it’s something to have as a small side dish, not one to eat as the meal its self. Here is a picture of it before I put it in the oven and added my panko bread crumbs. 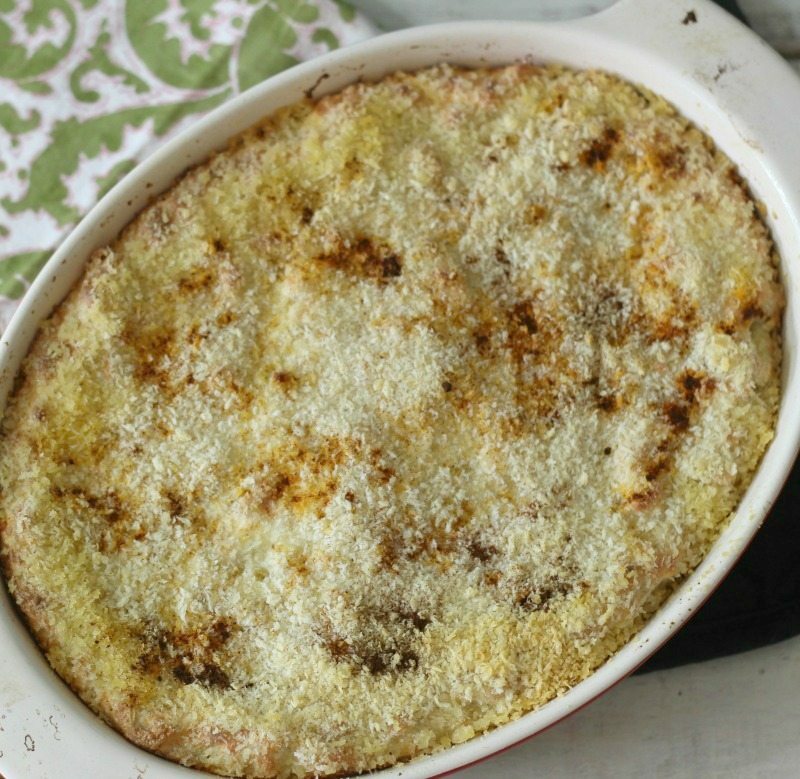 Creamy, thick, cheesy baked macaroni with Swiss & Gruyere Cheese with a slightly crispy topping. The ultimate mac & cheese! Spray a 2 qt. baking dish with cooking spray; set aside. Cook pasta according to directions, to al dente (not completely cooked). Pour into colander to drain; set aside. In a measuring cup, beat the egg and add the half and half; set aside. In the pot that you cooked the pasta in, add butter, flour and mustard powder; whisk until no lumps remain. Pour in the milk and egg mixture, cheese and salt & pepper. Whisk until cheese is melted and it starts to slightly simmer and thicken up; about 10 minutes. Pour cooked pasta into cheese mixture and mix until well combined. Pour into prepared baking dish. Sprinkle with panko bread crumbs. I also add a sprinkle of smoked paprika. 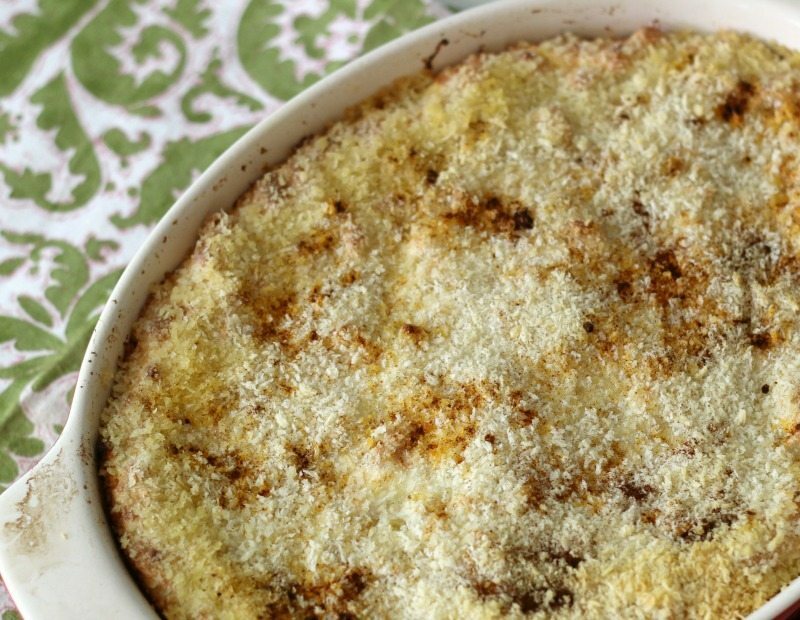 Bake in oven for 30 - 40 minutes, until cheese is bubbly and topping is lightly golden. Let cool for a few minutes and serve immediately. You can also use cheddar cheese if you like. Yum, yum! I cannot wait to make this again. Next time, I’ll add some veggies, maybe some chicken and make it more of a complete meal. You can tell my wheels are spinning with ideas. Looks really yummy, can I make this with cheddar cheese or a mix of cheddar and something else? Yes, you can mix it with other cheese, whatever kind you like. Enjoy!